Right Here at Providence Recovery Place, we believe that lasting dependency treatment should be provided to any person and that all of us are entitled to a 2nd chance to have a life full of happiness and also accomplishment. 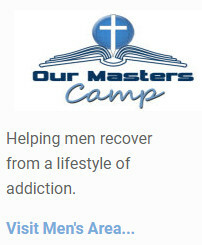 That’s why our wish is to be among the most budget-friendly recovery experiences in the US to both Men and Women seeking to recover from chemical dependency, behavior addiction, and also transgression addiction. The cost is inexpensive because of the non-profit status and also because of donations from the neighborhood. All programs are additionally heavily supported by sales from Providence Ministries, Inc, and our various Second-hand Store locations. You can find programs from around the country for the treatment of drug, alcohol or other addictions. Here are just a few of the reasons to look outside your home state of Ohio and consider a treatment program by Providence Recovery Place. Leaving home for dependency treatment provides you authorization to abandon your everyday distractions and concerns. You can prioritize what actually matters: your healing and also your future brand-new life. Put distance between you and the negative influences. Traveling for Rehab can put you in the mindset of taking a journey toward recovery and a clean slate. Leaving your home for treatment protects your confidentiality by giving you an additional layer of privacy. No one needs to know you’re here. You’ll have peace. 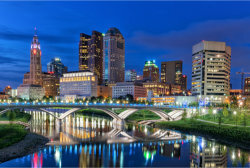 Find out how Providence Recovery Place Men or Women’s locations can help if your from Ohio. For any person looking for a rehabilitation technique of support with a spiritual foundation, Providence Recovery Place could assist. For individuals originating from a Christian history, our healing programs will especially speak to your core values and also ideas. You will locate yourself surrounded by a community of similar people who could comprehend your struggles and aid you to locate faith in yourself again. Even though you’ve left and also lost a few of your Christian roots, Providence Recovery Place can assist you to discover and also return to your faith. Alcohol and also drug dependency therapy programs are developed in order to help you escape a compulsive cycle of alcohol or drug abuse that stands for a loss of self-constraint. Treatment programs show you means to function in daily life without using your substance of choice. A huge element substance usage treatment concentrates on being entirely straightforward with yourself, approving fact, as well as checking out the feelings, ideas, as well as ideas that drove your substance usage. A good treatment program assists you consider your circumstance genuinely, adjust more functional and reasonable ideas, learn stress and anxiety monitoring and coping techniques, and aid you establish favorable relationships. Therapy is typically called for to address drug or alcohol addiction because, rather just, it’s extremely hard to effectively quit on your own. You will require advice to understand the factors for your behavior, to learn choices that can help you transform your actions, and to be guided into a new and also healthy and balanced lifestyle. Another reason drug and alcohol treatment is essential is that it informs you on the most effective method to functionally take care of your everyday concerns without counting on drugs or alcohol, something extremely challenging to find out ways to do by yourself. It is important that you know just how a program will certainly fit your private needs. Not every program is ideal for every single addict, also if you are looking for budget-friendly treatment does not entirely limit your choices. Take a while to find a facility that has a therapy model you will certainly be comfortable with, which supplies services that you believe will offer you the best opportunity of an effective recuperation you plan on attending a short-term rehab as a result of expense limitations in Ohio, make certain that they offer a detailed discharge plan, and some kind of aftercare. 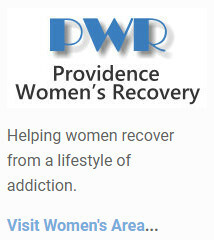 With Providence Recovery Place you will certainly discover a top quality treatment longer-term “90 day” option as well as quickly on the road to healing from drug dependency.